Running a business of any size is never an easy task. Aside from the day-to-day task of ensuring that everything is running smoothly on the shop floor, you often need to deal with mountains of paperwork. Depending on the nature of your business, this paperwork might include documents such as distribution and franchise agreements. As business lawyers in Philadelphia, Olen Law knows how tricky and confusing these agreements can be. As such, we make it our mission to help PA business owners better understand these terms. A distributor is an entity that buys products from another company and sells them to retailers or consumers. The distribution agreement is the legally binding contract that outlines the relationship between the distributor and the product producer. The agreement may outline things such as pricing, territory rights, and any exclusivity arrangements. As Philadelphia business attorneys, we often see people confuse franchise agreements with distribution agreements. Though they are similar, there are some differences that need to be acknowledged. In particular, it must be noted that a franchise agreement provides the right to sell goods or services under the trademarked name of an established business – something that a distribution agreement does not do. Much like a distribution agreement, a franchise agreement usually outlines elements of the deal such as fees, rights, and obligations. How can Olen Law help with distribution and franchise agreements? Distribution and franchise agreements often form the backbone of a company’s operation. As such, it is important to get them right. As experienced business lawyers in Philadelphia, Olen Law knows exactly what to include, exclude, and look for in a distribution or franchise agreement to ensure that it is fair and reasonable. 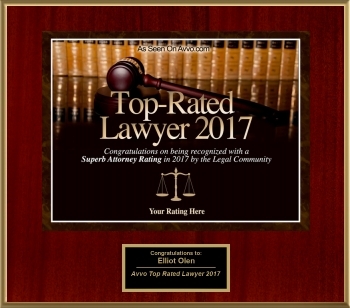 If you are searching for a PA business attorney to help with your distribution and franchise agreements, contact Olen Law today.